In many ways, Kristen Elliott is a normal, seventeen-year-old girl. Kristen loves her family. She works hard academically, and tries to please her mother. She takes on the additional responsibility of caring for her twin siblings, Nick and Alison. She idealizes her best friend, Lexus, who not only seems to lead the perfect life, but also catches the attention of John, the boy Kristen secretly loves. However, as is the case with many teenagers, Kristen feels frustrated, isolated, and confused. In other ways, Kristen is not like other kids her age. She knows something is wrong with her. Kristen feels like an utter failure. She is unable to please her abrasive mother, and scared to confront Jack, her abusive stepfather. She is also unable to protect Nick from Jack, making her feel all the more helpless. Adding to her problems, she knows she will never be as beautiful as her best friend Lexus. Kristen finds solace in self-injury, and the company of Mr. Sharp, her imaginary friend who encourages her feelings of self-loathing. After a failed suicide attempt, Kristen is placed in the Bent Creek mental hospital, where she is diagnosed with Borderline Personality Disorder. While in the hospital, she meets a group of peers suffering with their own mental illnesses, and a compassionate staff of doctors and counselors. From there, Kristen begins her journey to survival. 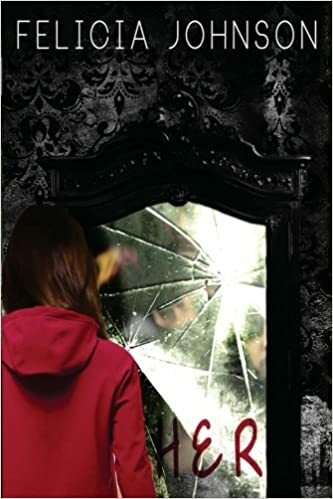 She discovers the circumstances that brought her to this breaking point, struggles to understand her mental illness, and fights to be a survivor against her own worst enemy: her self-blame. Kristen’s tale of endurance illustrates the complex illness of Borderline Personality Disorder. Readers – including those suffering from BPD and their friends and family – can glean insight into BPD from Kristen’s humanity. Her story is an example of how, if we try to push the past away, we are either doomed to repeat it or let it haunt us to our graves. The spin off of “HER” is called “OK Danny Boy". This three part book series follows the story of an artistic and mysterious young man who Kristen meets during her stay in Bent Creek Hospital. Daniel proved to be a supportive peer, whom Kristen saw as a positive influence throughout her recovery. However, Daniel had not always been a role model. Daniel is diagnosed with Bipolar Disorder, OCD and Juvenile Diabetes. His story follows his journey throughout his healing and learning to cope with life’s transitions, coming of age, living with mental illness as well as a physical illness and the suicide of a close friend. Fans of “HER” will get to see what it was like on the other side of the Adolescent Ward. Part one: "CHAOS" follows Daniel's life before he goes into Bent Creek Hospital during his mental breakdown. 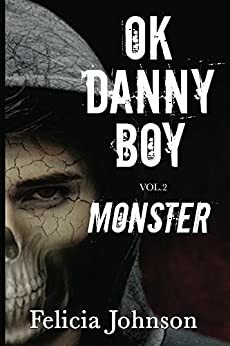 Part two: "MONSTER" follows Daniel's story while he is in Bent Creek Hospital through his treatment. Part three: "LOVE" follows Daniel after his treatment in Bent Creek Hospital into his recovery process. "MONSTER" follows Daniel's story while he is in Bent Creek Hospital through his treatment. The spin off of “HER” is called “OK Danny Boy". This three part book series follows the story of an artistic and mysterious young man who Kristen meets during her stay in Bent Creek Hospital. Daniel proved to be a supportive peer, whom Kristen saw as a positive influence throughout her recovery. However, Daniel had not always been a role model. Daniel is diagnosed with Bipolar Disorder, OCD and Juvenile Diabetes. 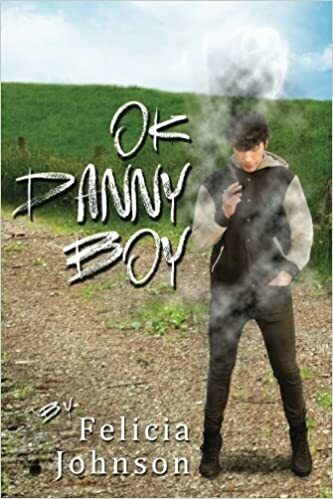 His story follows his journey throughout his healing and learning to cope with life’s transitions, coming of age, living with mental illness as well as a physical illness and the suicide of a close friend. Fans of “HER” will get to see what it was like on the other side of the Adolescent Ward. Cassandra's Review- Raw, emotional and vulnerable, the books create a period of deep pain and loss. I felt the author chose a powerful way to express the reality of the topics. The pure understanding and no filter gives the reader so much more than just a few very large stories. If you have ever dealt with mental illness or still do, this book is a glimpse probably of what most of you have already witnessed. The truth in the words is so pronounced and if you have ever been in a position to have been to a hospital like Bent Creek, to visit a loved one or for yourself, the book will feel all to close to home.